Luxury oak specialists Oakmasters have chosen award-winning digital agency Return to front their PPC campaigns. 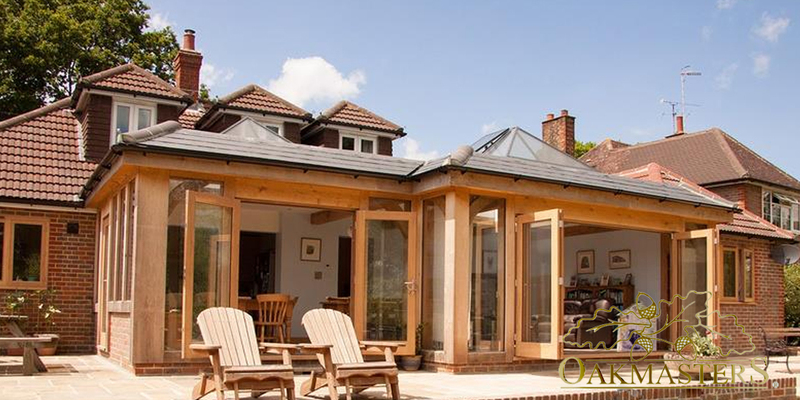 Oakmasters is a family-run business based in Haywards Heath, West Sussex that specialises in the design and manufacture of bespoke oak frames to enhance the home. The company’s vast product range includes porches, hand-finished roof components, beams and full oak-framed houses, all created through state-of-the-art methods and techniques combined with traditional craftmanship. The business has been creating stunning oak buildings both in the UK and internationally for more than 30 years and is renowned for its friendly, professional customer service, meticulous attention to detail and beautiful craftmanship. Working with Manchester-based agency Return, Oakmasters wants to maximise ROI via high-quality, persuasive ads that are precision-targeted to the right audience. On their decision to work with Return, Oakmasters said: As a small but fast-growing business, we face a constant challenge of making our marketing budgets work hard. We can’t afford to waste money on activities with ROI that can’t be measured. Paid Search is our best performing advertising channel with the biggest budget allocation, so we needed to make sure that the agency handling it is perfectly placed to spend it most effectively. Return’s pitch filled us with confidence that they are the best partner to help us achieve the growth we are aiming for.